Now available in paperback, this book is a 'must' for all infant libraries. 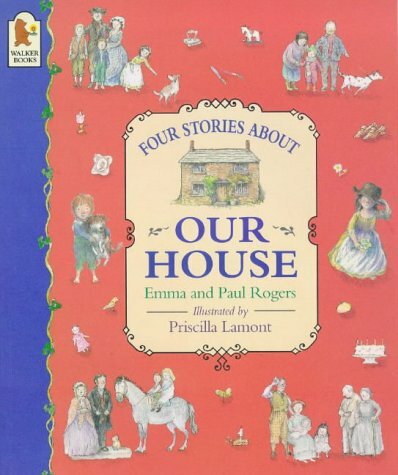 Four gentle stories are woven together about the different families occupying one house over a two hundred year span. As well as being a most enjoyable book to share, this title also works on many levels. Our History Coordinator feels this book is ideal as it conveys so much to young children of the changes that time brings whilst still retaining the sense that although children may live in different times and have many different life experiences, there are still the universal experiences of family life and loving. It would, however, be to understimate the value of the book if we only saw it as an excellent early history book. The text and illustrations are a masterly combination of subtle under-statement - the characters and rooms change styles of clothing and furniture yet the bare bone essentials of the house and family living are retained. While we are offered a superb learning experience about change we still have security, feeling that were we to revisit the house seventy years hence there would be yet another story to tell!